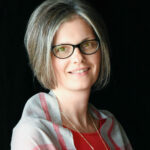 Kim MacIntyre is our Grammar School Principal. She also works on Curriculum and Ordering and is the technology supervisor. Mrs. MacIntyre has a Bachelor’s Degree from Northwestern University. She worked at Timothy Christian Schools in Elmhurst as their computer coordinator for 3 years. Her two daughters graduated from NCA and her two sons still attend. She and her husband, John, were led by the Lord to found the school in 2000. Their family attends One Way Church in Aurora where Kim is the Grade School Sunday School teacher. 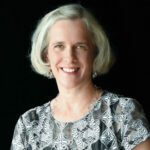 Ann Nikchevich is our Upper School Principal and AP Coordinator. She served on our Board of Directors for two years and has led parent book studies for over four years. She graduated from Northwestern University with a Bachelor’s Degree in Political Science, and recently completed a Master’s Degree in Biblical Studies from Wheaton College. 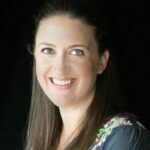 Her passion to understand the underpinnings and goals of Christian classical education has led her to take numerous online courses and attend a wide variety of conferences, seminars, and lectures to this end. She and her husband Rich attend Church of the Resurrection in Wheaton where Ann leads a Special Needs Parents’ group. Ann and Rich have four children, the youngest of whom is a recent graduate of NCA, now attending Wheaton College. 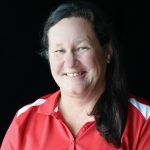 Rebecca Ruff is the Director of Operations and Development for NCA. She previously served on our Board of Directors for three years and as the Fundraising Chair for four years. She graduated from University of Illinois with a BA in French and a minor in International Marketing. She and her husband, Bill, attend All Saints Anglican Church where Rebecca is a member of the altar guild and sings in the choir. The Ruff family has been a part of NCA since 2006 and currently have four children in attendance. Nestor López is our Volunteer Coordinator and our After Care Supervisor. He and his wife, Rhonda, have two children attending NCA. 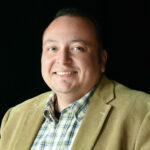 Mr. López graduated from the Moody Bible Institute with a Bachelor’s Degree in Pastoral Studies. Nestor has a servant’s heart and can be seen helping out in many different ways around our building on a daily basis. His love for the Lord displays itself in the way he shepherds students, staff, and families in our NCA community. Christina Mearse is our Accountant. Mrs. Mearse earned a Bachelor’s degree in Math Education from Oklahoma Christian University. She taught mathematics in public and private school settings for thirteen years and served as a non-profit bookkeeper for four years. Mrs. Mearse is passionate about cooking healthy food and hosting people in her home. She is married to Adam Mearse, our Logic School Bible teacher. They have three children attending NCA. The Mearses are members of the Naperville Church of Christ where Mrs. Mearse serves in the hospitality ministry. Stephanie Veague is our Administrative Assistant. Mrs. Veague has a Bachelor’s Degree from Northern Michigan University and worked for twelve years as a school Administrative Assistant. Her daughter, Alex, was in the graduating class of 2014 and she has one son still attending NCA. Joining Naperville Christian Academy in 2008, Steff is the heart and soul of our office and consistently demonstrates her professionalism and willingness to serve in all she does.